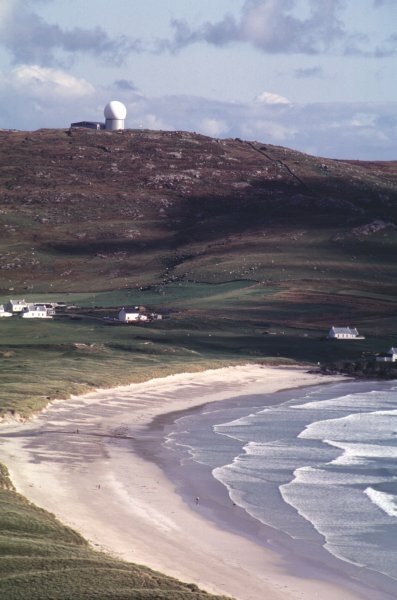 This is the Golf Ball on Ben Hynish above Balephuil Bay. It's not as sinister as it might appear. It's used by the CAA (Civil Aviation Authority) to track transatlantic jets.